While foodies come over all emotional trying to decide which Instagram filter to use on a tasting menu, we oenophiles get decidedly hot and bothered over wine cellars – and not just their contents. Somm Martín Bruno flies through Tegui’s cellar. Wooden wine racks have given way to temperature-controlled fridges, which in turn have been eclipsed by bespoke storage facilities that rightly take centre stage in fine dining establishments. 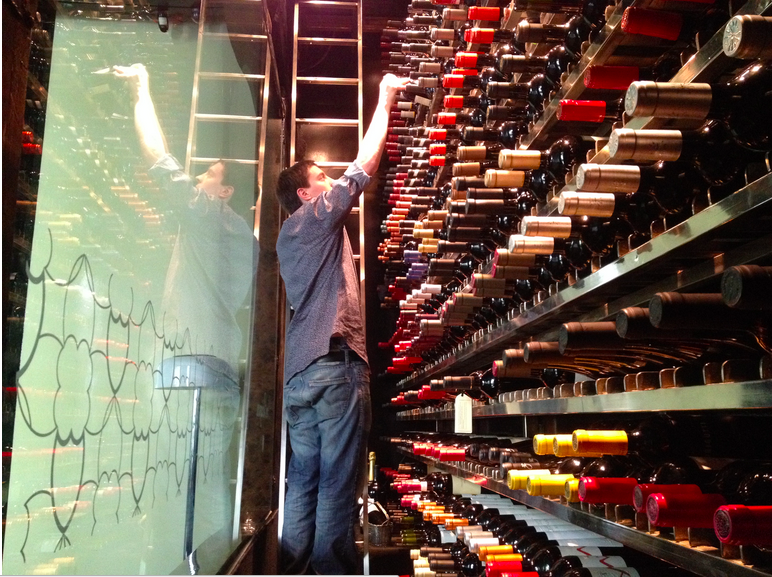 Let’s take a look at some of Buenos Aires’ sexiest wine cellars. Argentina’s number-one restaurant Tegui was constructed six years ago with two poles in mind – the open-plan kitchen and the cave – and the attention-seeking ground-floor wine cellar designed by chef patron Germán Martitegui and architect Horacio Gallo puts the fun into functional.